How Times Have Changed - Kids Today don’t know what they’re Missing! 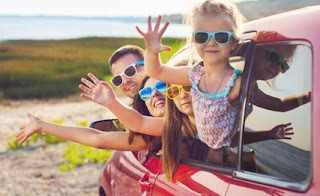 If you grew up in the 1960s or 1970s it’s quite likely your family holidays involved a long car trip in the family station wagon, or Dad’s Datsun 180B. Only a lucky few went overseas for holidays. You may have gone interstate, but it would almost certainly be in the family car. The most popular of the era being the Ford Falcon, Holden Kingswood, the good old Datsun (now Nissan) and the Toyota triplets; Corona, Corolla and Celica. Ah those were the days! Hours and hours of driving, with your thighs sticking to the vinyl, and the open window serving as air conditioning. No DVD players, iPods, no Bluetooth, no MacDonald’s. You’d pass around the tin of barley sugar and entertain yourselves with lots of sing-a-longs, games of eye-spy while munching on squashed vegemite sandwiches. Kids usually sat on the bench seat in the back (with no seat belts required till sometime in the early 70s) and maybe one or two littlies squeezed in between Mum and Dad in front. 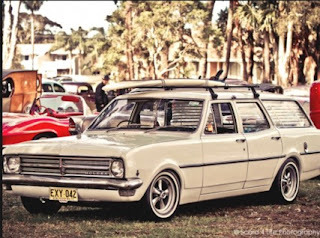 If your aunty, uncle and cousins were coming along then the adults got the seats and the kids would lie down in the back of the station wagon lined up like sausages in a pan - often joined by the family dog. And heaven help you if you got carsick! With air-conditioning, smartphones and frappes at civilised rest stops during modern family car trips, kids today just don’t what they’re missing!